The APS™ will have thousands of advisors and the general public who come to this website for education on asset protection. We believe our website does a good job of explaining the basics of asset protection planning and this website is the only one of its kinds which also educates on “global” asset protection. Having said that, we encourage clients and advisors alike to read and learn more about asset protection planning. 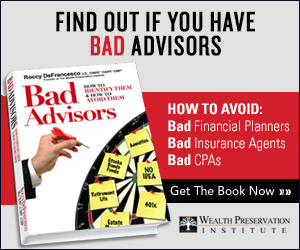 For advisors, they can go through one or both of the only “advanced” educations programs which cover asset protection planning by going to The Wealth Preservation Institute and signing up for the CWPP™ and/or CAPP™ courses. For the public as well as for advisors, there are a number of books you can read which can help you protect your wealth from various creditors. You can also buy the below listed books through the APS™ at a discount you will not be able to find elsewhere. If you click on the book, the table of contents will come up for you to review.